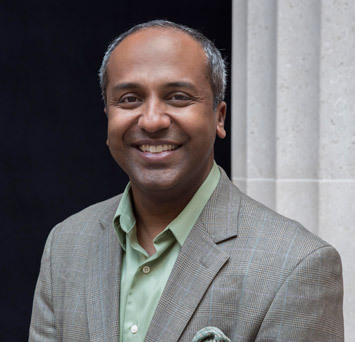 Sree Sreenivasan is the first Chief Digital Officer at the Metropolitan Museum of Art, the latest step in what he calls “a three-decade, one-way love affair with one of the world’s great museums.” At the Met, he leads a world-class team of 70 working on topics he loves: digital, social, mobile, video, data, email apps and more. He joined the Met after spending 20 years at Columbia University as a member of the faculty of the Columbia Journalism School and a year as the university’s first Chief Digital Officer. In 2009, Sree was named one of AdAge’s 25 media people to follow on Twitter, and in 2010 was named one of Poynter’s 35 most influential people in social media. In 2014, he was named the most influential Chief Digital Officer in the US.